I went on a Publix Trip today. Actually 2 trips. Sorry, 3! I wanted to get out there before the ChiliCow & frozen potatoes were all gone, but turns out, I didn’t have to rush. Fully stocked. There were lots of Ibotta offers I wanted to do. Once I got home and scanned in my receipts, it said I needed one other offer to get a $5 bonus so back I went for 2 ChiliCow 2-pks, since I’d only gotten bars the other 2 times. As my husband has an account as well, I duplicated everything to get double the cash back and follow the coupon limits. He only needed 5 items to get his $5 bonus so I was OK there. 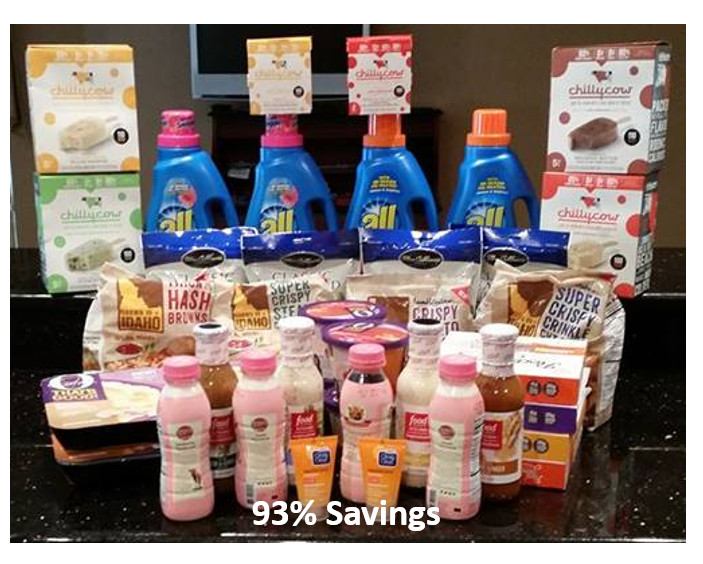 All together I got $180 in groceries for $12.23 (93% savings) after cash back, which is already in our accounts. Below is what I got and any coupons used. Even though I went to 2 stores, plus that 3rd for just more ChiliCow, I put it all into 1 trip to make it easier.